Hello Friends!! 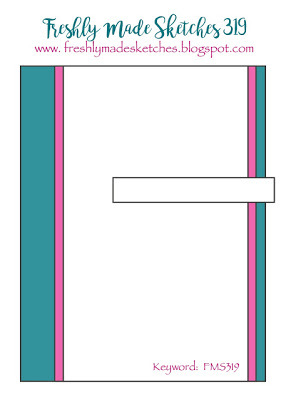 here is another card using a sketch from Freshly Made Sketches (FMS), I have been enjoying lately using these sketches and challenges to get inspiration for the cards I create..
What I like about FMS is that their sketches are very clean and prompt you to make a quick and easy card, don't you think? here is the sketch from this week.. I decided to use the painted with love suite and showcase the gorgeous designer series paper (DSP), all the sheets on this DSP pack has gold foil!! so I promise you, all your projects will look spectacular when using this DSP!! I added a little heart that I had die cut in gold glimmer paper, this heart is from the sure do love you bundle.. and the sentiment is from the petal palette stamp set!! This one is one of the four cards that I created during the last Facebook live event on Jan 11, you can see the full video here.. If you don't know about it, I hold a facebook live event every Thursday at 7pm CST on my facebook page HERE, you can like or follow my page and request notifications to know when I go live!!! 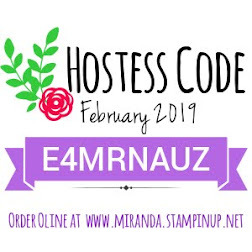 Also new in 2018, Every month I will be sending a card kit to make Four cards to everyone who places an online order $30 or more using the hostess code of the month.. it is important to use the hostess code as this is the way I will know who will be getting the monthly kit.. 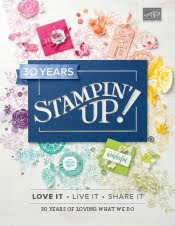 Please note that while I will send all the supplies you will need to provide the stamps, as I cannot send stamped images per Stampin' Up! policies. And don't forget that Sale-A-Bration is still going on!! For every $50 you spend you can get an item for free from the Sale-A-Bration brochure! check it out!! click on the image below to see the items available!!! Below is the list of products that I use to make this card, you can click on the images below to go to my online store where you can purchase these items. Such a perfect use of the sketch - that paper is fabulous!! Love the little glittery heart as an accent. Thank you for playing along with us at Freshly Made Sketches.